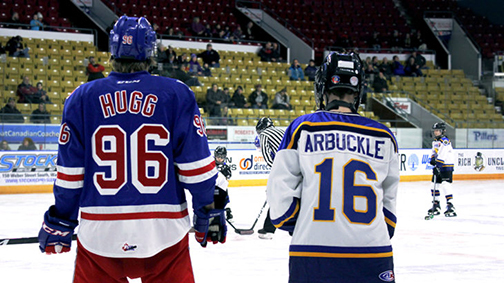 The Kitchener Rangers held the 12th Annual Special Hockey Benefit game on January 23rd, 2019 with the Cambridge Ice Hounds. 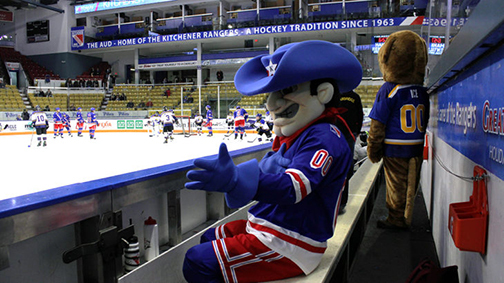 The Kitchener Rangers played 3 games against the Hounds, which were officiated by Darryl Law and Chief Larkin. 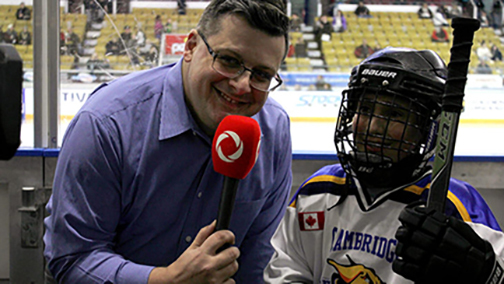 The Rangers would like to thank the fans who helped raise $1,274 towards the Cambridge Ice Hounds hockey program, as well as all the volunteers involved in making this event a success. 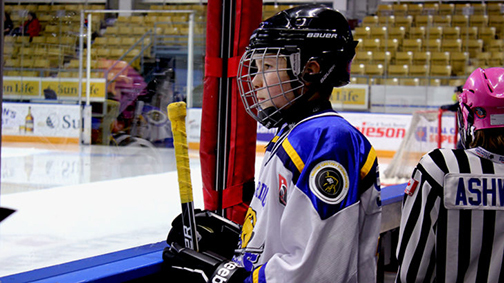 Hockey is a pastime that many Canadians take for granted. It is generally accepted that, if you’re able to skate, there’s opportunity to play ‘Canada’s Game’. This reality is true to a point. Until, as a player, you start to discover that teams with other players of the same age, just don’t quite feel the same anymore and the enjoyment of a game you once loved begins to fade. This is where the Cambridge Ice Hounds come in. 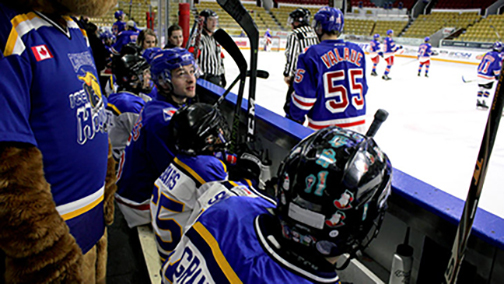 We're a hockey program developed for players with special needs which prevent them from participating in traditional hockey programs. Over the past 10 years, more than 100 children and adults with special needs in Waterloo Region have called themselves “Hounds”. Annually, more than 60 players take to the ice from September through April.